This plugin allows you to add layesr with different effects to images, that appear when user hovers mouse over image. There is 3 kind of layers â€“ background image, text and hover. 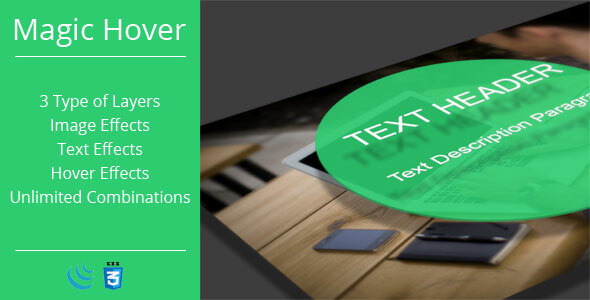 You can use unlimited Text and Hover layers for each image.